But then how can we talk about God’s goodness? Over the past few years, I have enjoyed Dr. John Walton‘s amazing books on the ancient understandings of the book of Genesis. He is, by far, one of my favorite biblical scholars and authors. 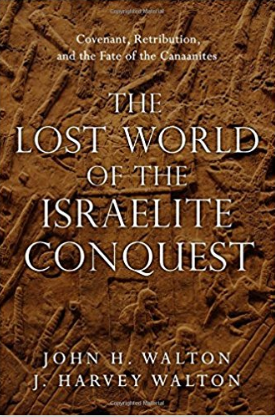 His newest book The Lost World of the Israelite Conquest, written with his son, is the third book on my 2018 reading list, and today I got to pg. 35 (of 269). In this section of the book, Walton is talking about how hard it is sometimes to understand what God does (the topic of the book is the command in the Bible to conquer and kill all of the Canaanites), but that we still need to trust him. Amen! But the way this is communicated got me thinking and scribbling. Below are my thoughts and scribbles. Alert: This post fits in with the “thinking out loud as I process” genre. Feel free to interact with the ideas here for more dialogue. Here are my notes from the “note” feature in my Kindle. I do not want to disagree with the statement that we must trust God even when we don’t understand Him. We must. Like children, we do not always understand what the Father is doing. But the trajectory of a couple of ideas here gives me pause because the author seems to be saying more than this (I could be wrong and I’m open to dialogue). I have heard this line of reasoning more times than I can count, and to be honest, it makes me wonder how we can even use the word “good” with reference to God if God’s goodness is not understandable within the framework of any human understanding of the word or idea of good. Does God want humans to be good? In what sense? Is God, then, telling humans to be good in ways that are wholly different from ways in which God himself is good? Does the goodness that God wants from his human imagers differ so much from God’s own goodness that we can’t perceive any similarities? If there are similarities, what are they? If there are differences, what are they? Here’s my push-back. If humans can’t define what we mean by “God’s goodness” with an analogy, then the word good is arbitrary when used about God. So, what about love? What about holiness? What about honesty? What about fidelity? What about integrity? Are these other attributes of God that have no analogy in terms that humans can understand? Here, the word good seems arbitrary and undefinable, and therefore — meaningless. If the author wishes to communicate that humans cannot know what the phrase, “God is good” means beyond, “Whatever God does is good,” I think this will be an unsustainable position. 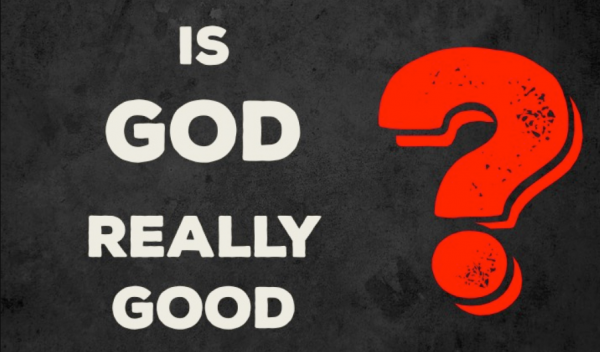 Saying (1) God is good, and (2) We cannot actually know what that statement means, is essentially concluding that the phrase “God is good” is nonsense (viz., a statement that makes no sense). Here is a quote by Roger Olson regarding Calvinists who use the “If God does it, it is good” argument to answer questions about individual unconditional election to damnation. “Where I disagree with them is that double predestination can be defended as good or that a God who does this can be considered good, loving, and just in any sense analogous to those virtues as they are revealed to us in Jesus Christ and in Scripture. If God does this the way they describe, then God’s goodness, God’s love, God’s justice are mere words with no ascertainable meaning. 1. We have to say that God is good. 2. We cannot know what the phrase “God is good” means. Thanks for reading. I’m not done “thinking theologically” about this yet. This is an interaction with a conclusion or perspective that, from my point of view, may not be the best way forward — but I’m open to more dialogue.